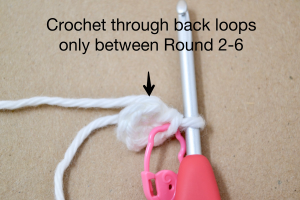 Please Note: R2-R6 are crocheted through the back loops only. 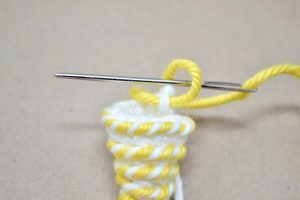 Cut a 20 inch piece of yellow yarn and make a knot on one end. 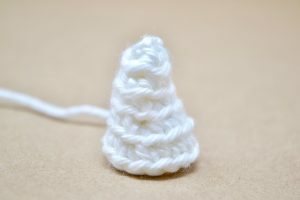 Thread the yarn through a darning needle. 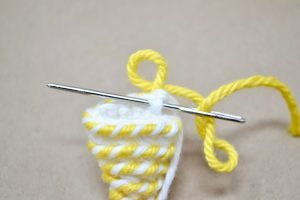 Insert the needle through the middle of the horn (from inside -out). 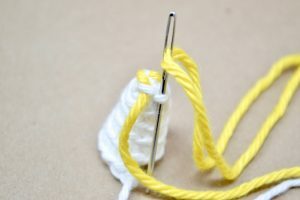 Place your needle through the first back loop of R2. Until you've reached the end. 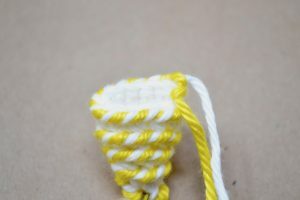 Make a knot on the inside of the horn to secure. 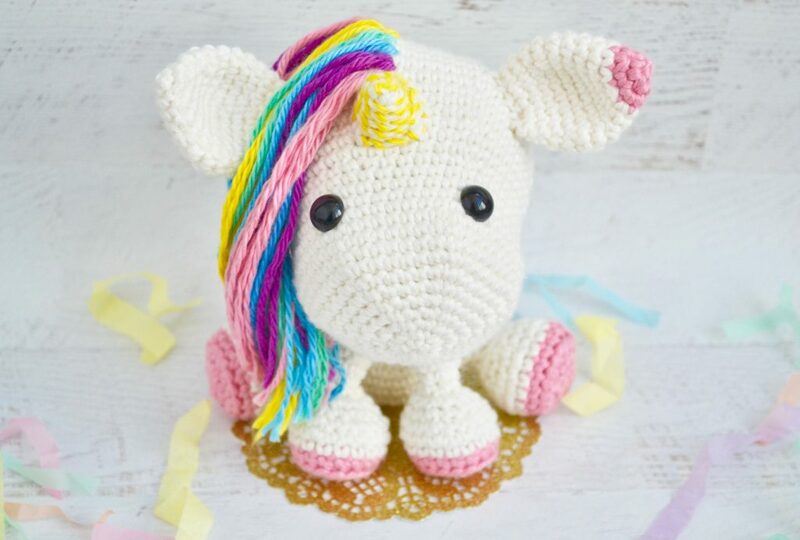 Step-by-step instructions below. 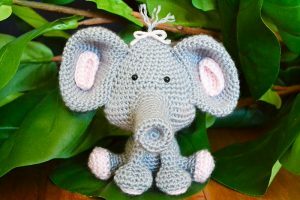 Grab a stitch on the inside of the horn. 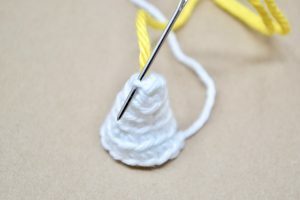 Pull the yarn through - making a loop. 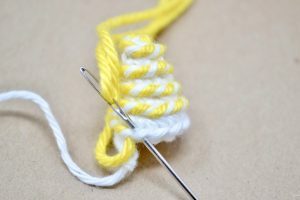 Pull your needle through the loop. 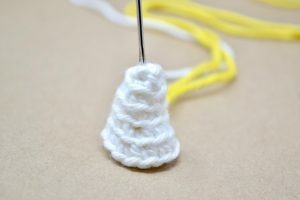 And tighten to make a knot. No stuffing needed. Set aside until assembly.